Antioch, IL – June 30, 2014 – The George H. Morris Gladstone Training Session at Annali-Brookwood Farm, organized by Diane Carney has come to a close, but riders who participated in the session are more motivated than ever to take the next steps to get on a team USA list. The six-day training session included daily riding sessions with Morris and afternoons packed with industry experts who shared their knowledge with the ten riders who were hand picked by Morris. The riders were Caitie Hope of Barrington, IL, Lisa Goldman of Hawthorn Woods, IL, Stephen Foran from Lake Forest, IL, Hunter Holloway from Topeka, KS, Courtney Frederick of Longmont, CO, Ashley Stannard from Tuscon, AZ, Adrienne Dixon of Hillsborouogh, CA, KC Van Aarem of Wheaton, MD, Lindsay Lamb, Tulsa, OK and Caroline McLeese from Omaha, NE. Morris’ sessions emphasized basic dressage and straightness of the horse along with utilizing the power of the inside hind leg. 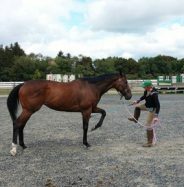 Olympian Anne Kursinski gave a demonstration on correct flatwork during the first day of the training session, giving riders an example to follow for their future training. The riders were put through gymnastic exercises all week and a no stirrups session to prepare for the final day, which the riders referred to as “The Grand Prix of Brookwood.” The difficult course asked questions of the horses and riders that they were given the skills for throughout the week. 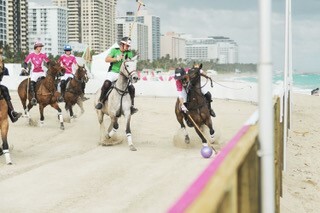 The goal was clean rounds, just what a Chef d’Equipe is looking for when choosing a team. 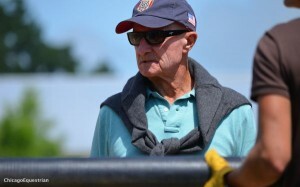 Besides Morris, the training session was filled with top-notch experts beginning with Carney, who has organized the Chicago George Morris clinic for over 25 years, competed with Morris as a young professional and has shown repeatedly and successfully in the International Ring at Spruce Meadows, as well as organized groups of riders to show there since 1989. Carney is about quality and correctness from the barn to the ring and her lifetime of professional connections certainly brought A-team players to the program. Another bonus to the session was Diane Langer, the Developing Riders Chef d’Equipe. Her presence alone added to the credibility and seriousness of the program. Langer’s presentation on the “Process for Team Selection,” provided for a valuable question/answer session with the young riders. During her time there, Langer met with riders one on one to help them establish a road map for getting on a team list. 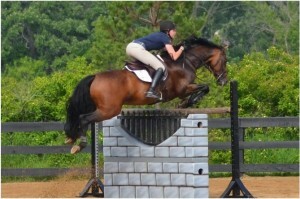 She also presented “How to Do the FEI Jog,” which as simple as it may seem, had more than meets the eye for the riders. Laurie Pitts was the barn manager for the program. Pitts, of Goochland, VA, was also the barn manager for the George H. Morris Horsemastership Program in Wellington this past winter. 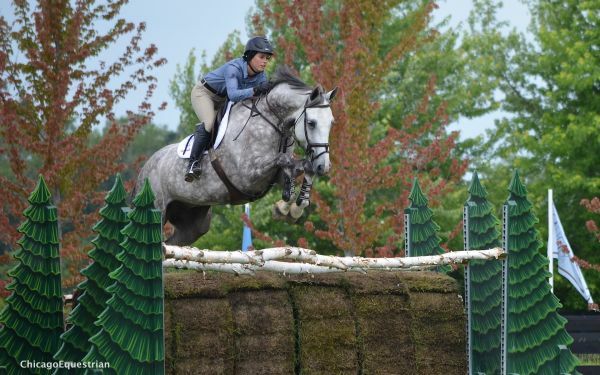 Parents, trainers and owners were prohibited from the barn area so riders could stay focused without distraction and problem solve on their own, having the ultimate responsibility for their horse. 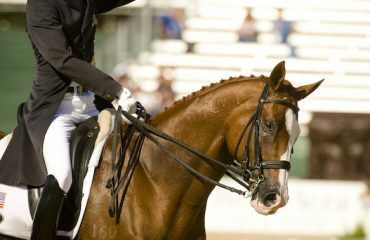 Pitts worked with riders to get them to understand they need a program for success in the barn as well as in the tack. 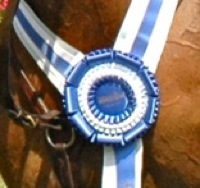 Pitts mentioned horses that are treated well know it and feel like they are champions. In addition to the core people making the clinic happen, the afternoon presentations provided in depth information with humor, rider participation and open question and answer periods. On the first day, Brenda Mueller from Phelps Media Group/Chicago Equestrian presented “How to Talk to the Media” with a mock press conference putting riders in the hot seat and teaching them how to handle it. The message of social media accountability was not only addressed on the first day, but on each day of the clinic as Mueller checked each rider’s Facebook accounts and ended the weeklong session with individual interviews for practice. Dr. G. Marvin Beeman of Littleton Equine Medical Center from Denver, CO, gave an amazing presentation on the second and third days, which gave everyone in the room a lesson on “Conformation, Form and Function.” Dr. Beeman is the veterinarian behind the success of the Olympic horse Calypso and rider Melanie Smith Taylor. Dr. Beeman related the information to Morris’ riding sessions earlier in the day so riders could understand the topic better. He also used photos of Calypso to illustrate major points. The fourth day brought world-class farrier Bill Liggett from Woodstock, IL, to share his knowledge of shoeing and caulks. Liggett also used Morris’ information that was emphasized to the riders regarding the power of the inside hind leg and the importance of footing and traction. Having the collection of top professionals at the session, only added to the perspective of the topic. The entire group walked out to the field where the riders would be jumping, to assess the footing first hand and decide what caulks would be the best. Again, an open question and answer scenario provided riders the opportunity to get their specific concerns on the topic addressed. On the fifth day, equine legal expert Yvonne Ocrant did the presentation. Riders were impressed with the information provided by on the liability and insurance of their businesses or future businesses. There was particular interest in the discussion on how to set up syndicates. 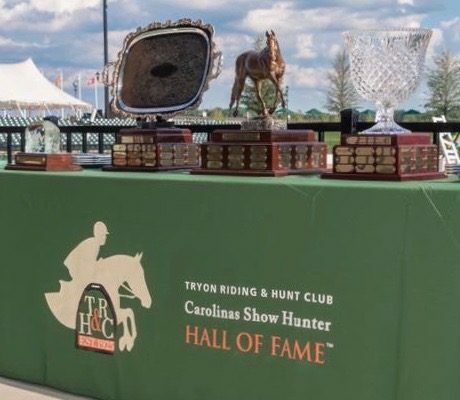 In the wrap up interviews, riders were extremely grateful for being chosen to participate in the program and walked away with inspiration and knowledge to get them to the next level and closer to a spot on a U.S. team. 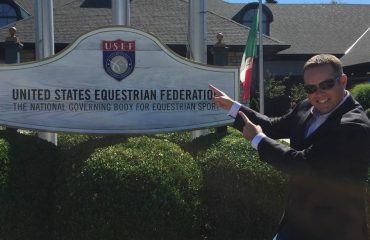 It was a general consensus that more programs like these need to be available to young riders seeking the education to be better riders and horseman and to understand the process to someday compete internationally for the United States. 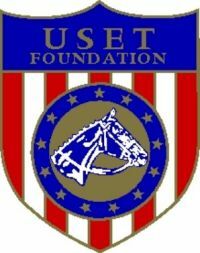 Without the USET Foundation and Morris, the Gladstone Program would not be possible. 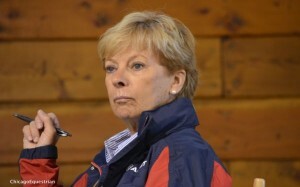 Thank you also to Diane Langer for taking the time with young riders and for helping to set the course for them to follow for the benefit of our future teams. Special thanks goes to Rush and Caroline Weeden for the use of their beautiful facility and to Carney for providing the funding to make the session possible. Young riders across the country look forward to more sessions like these. 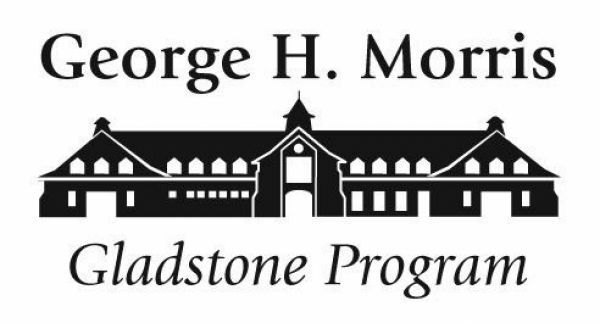 To make a donation to support the Gladstone Program, please click here .